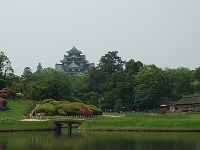 Kanazawa, the seat of the prefectural office, is made up of three hills, the Kodatsuno Plateau that stretches southeast between the Asano-gawa and Sai-kawa rivers and Mt. Utatsu-yama and Teramachidai, which spread out on both sides. It is the center of economy, commerce, and culture in the Hokuriku region. Kanazawa has prospered for some 300 years since the feudal lord Maeda Toshiie built a castle here in the late 16th century. 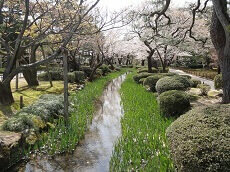 At the center of the city lies the Kenroku-en Garden, classified as one of Japan's "three most beautiful landscape gardens" along with Kairaku-en Garden in Mito and the Koraku-en Garden in Okayama. 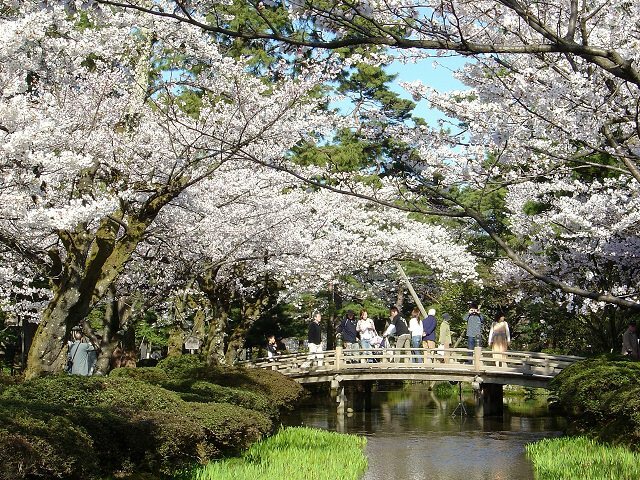 The name Kenrokuen literally means "Garden of the Six Sublimities", referring to spaciousness, seclusion, artificiality, antiquity, abundant water and broad views, which according to Chinese landscape theory are the six essential attributes that make up a perfect garden. 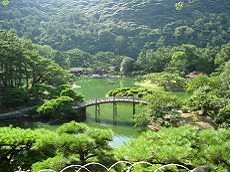 The garden is famous for the "Yukitsuri," ropes stretched from the top of a tree to the lower branches like an umbrella to protect it from snow damage. 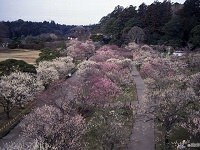 Beginning in 1676, it took about 170 years to construct the 105,000-square-meter garden. During World War Two, Kanazawa was Japan's second largest city (after Kyoto) to escape destruction by air raids. Consequently, parts of the old castle town, such as the Nagamachi samurai district and chaya entertainment districts, have survived in pretty good condition.